This weekend Ashley and I had the chance to visit the Limestone Canyon Wilderness Area and hike to the sinks which is an impressive geological formation that has been call the "Miniature Grand Canyon of Orange County". 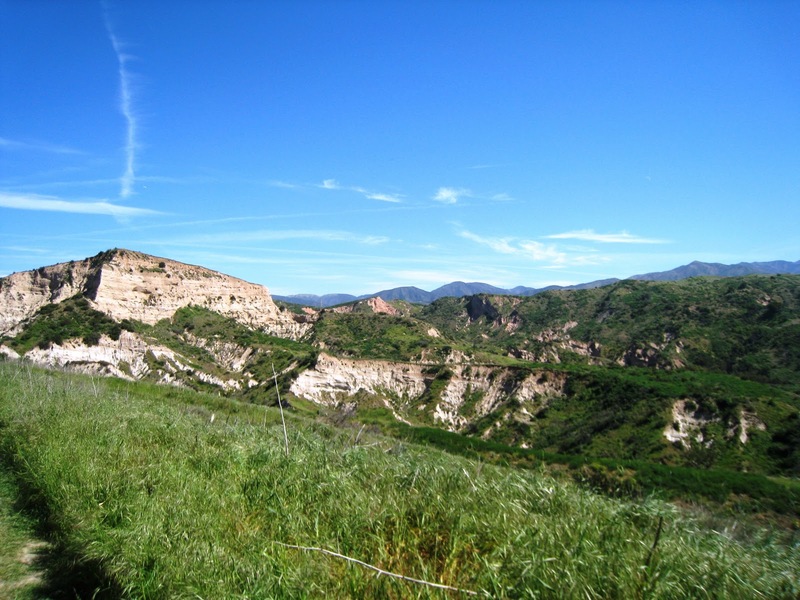 While the term "Miniature Grand Canyon of Orange County" may be a bit hyperbole, it is a beautiful geological feature that is located in some of Orange County's most pristine wilderness areas and is well worth the hike. 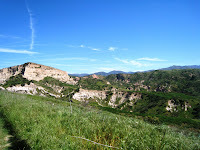 A hike to the Grand Canyon of Orange County in Limestone Canyon Regional Park is a must do for any Orange County Hiker. For more Pictures make sure to check out our Facebook Page. Directions to Trailhead: To hike in this section of Limestone Canyon Wilderness Park you must first sign up with the Irvine Ranch Conservancy and they will specify the hiking trailhead location. This hike description is different than most on Brian and Ashley's Hiking Blog because we are going to give two separate sets of directions to two different trailheads, this way you will have directions depending on what trailhead the conservancy is using. 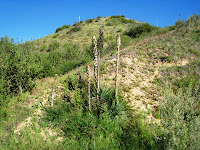 There is a third trailhead to the area, but it was damaged from the December 2010 storms and is still under repair. 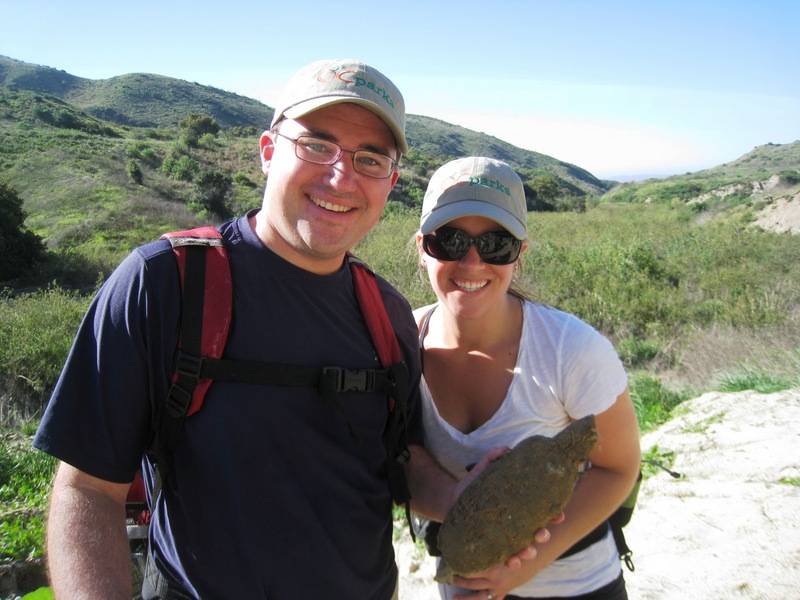 To sign up for the hike through the Irvine Ranch Conservancy click Here. Directions to the Portola Springs Trailhead: To get to the Portola Springs Trailhead for the hike to Orange County's Grand Canyon in Limestone Canyon Regional Park, from the 5 freeway exit at Jeffery Road and head North for about 2.5 miles to Portola Parkway. Make a right onto Portola Parkway and follow Portola Parkway for approximately 3.5 miles to the 241 toll road. Cross over the toll road and the trailhead is on the other side. For those using the toll roads, you can take the Portola Parkway exit off of the 241 toll road, which is near the toll road booths. Directions to the Augustine Trailhead: To get to the Augustine Trailhead for the hike to Orange County's Grand Canyon in Limestone Canyon Regional Park, coming from South Orange County, take El Toro Road towards Saddleback Mountain, it will turn into Santiago Canyon road. You are going to follow the road for a while. On your way to the tailhead you will pass cooks corner, Modjeska Road, and Silverado Canyon Road. The Augustine Trailhead is not far after you cross over the bridge by Silverado Canyon Road. The trailhead is just before the bridge that goes over the road near Irvine Lake. For a map, look at the provided Google map below. 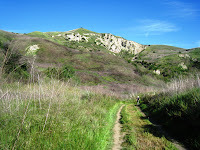 For a hiking trail map of the Limestone Canyon Regional Park (Wilderness Park) and the entire 20,000 acre Irvine Ranch Open Space click Here. Further Thoughts: Ashley and I really enjoyed this hike in Limestone Canyon Regional Park for multiple reasons. First was because of the breathtaking scenery on the trail. The hike goes through some of Orange County's best wilderness areas to one of its most spectacular geological formations, the sinks. The sinks are called the "Miniature Grand Canyon of Orange County" and are a beautiful sight to see. 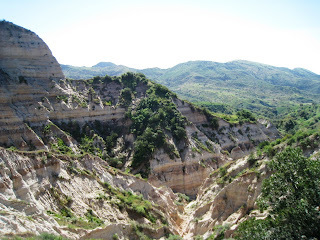 The nick name may be a little bit hyperbole, but this is a hike well worth doing, because the views at the sinks are amazing, especially after a good rainy season when everything is green. The second great thing about this area is the amount of wildlife that is present. While hiking we saw many tracks left by the resident animals. We even had the chance to see deer near the sinks viewing area. You will find that the Irvine Ranch Conservancy has installed motion sensor cameras in the area to documents Orange County's local wildlife. Make sure to always have your camera ready to take pictures of local wildlife while hiking in Limestone Canyon Regional Park. 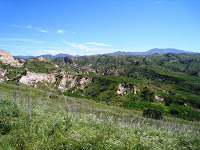 Another things that we enjoyed about this hike was doing it with a group of dedicated and knowledgeable docent's. Both Ashley and I enjoyed our conversations with them and we learned something new about the plants in the region. When you sign up for a hike, just keep in mind that the docent is knowledgeable about the local area so feel free to ask lots of questions. The sinks viewing platform is in a great location and looks at a dramatic portion of the sinks. The sinks were carved by a landslide that was either caused by a major storm or fault movement. There are many hikes in this area of Limestone Canyon Wilderness Park and you can make a loop of the hike from the Augustine trailhead by taking the Loma Ridge trail back to the Augustine trailhead. Make sure to carry with you plenty of water and sunscreen if you do this hike during the summer, as it can get warm and shade is only present in certain locations along the trail. The viewing observation deck is a great place to eat lunch as well as enjoy the cool breeze that rushes up through the canyon. 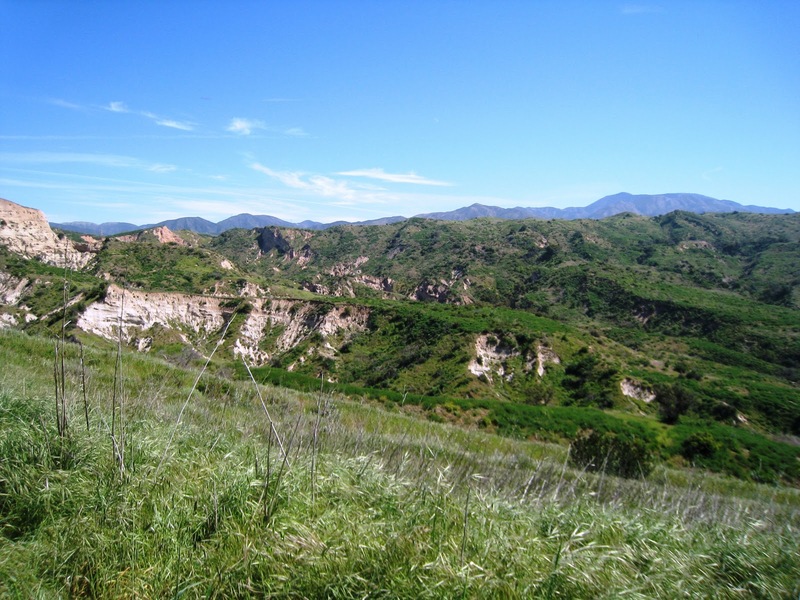 Limestone Canyon is designated as a Wilderness Park by both OC Parks and the Irvine Ranch Conservancy, however for some reasons Google still refers to it as a Regional Park, that is why there is oscillation between the terms in this post. Rating: From Portola Trailhead: Elevation Gain: 800 ft. (Easy), Distance: 5.5 Miles Roundtrip (Moderate). From the Augustine Trailhead: Elevation Gain: 550 ft. (Easy), Distance: 7.6 Miles Roundtrip (Moderate). Time to Complete Hike: From the Portola Trailhead: 2 - 3 hours. From the Augustine Trailhead: 3 - 4 hours. Do we have to sign up for one of the scheduled group hikes or can we schedule our own hike? 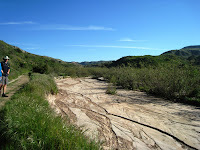 if we sign up for one of the specify hikes in Activities section with Irvine Ranch Conservancy, (e.g: Introductory Cardio Hike in Weir Canyon through Rifle Range, 6/26 @8am, Weir Staging Area (parking lot #3 at Irvine Park), does that mean we have to be with that group the whole time, at that specific location and time as well? How far in advance do we have to sign up with the Conservancy? Thank you! Yes, Unknown. You have to stay with the group all the time. Sign up as soon as possible. The spots fill up pretty fast. You can see how many spots still available for each hike on the Conservancy website. We would suggest signing up in advance as they definitely have a tendency to fill up quickly. You have to meet at the scheduled time and you go as a group. 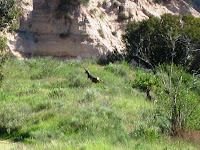 The docents are very friendly and knowledgeable about the history, geology and wildlife in the area. Is this becoming the norm in the American people's parks now - to have to sign-up and go in cluster groups following a guide at a set time and date? You're kidding - right? I'm old enough to remember when these lands were our lands and we were free to enjoy them without restriction, just be responsible and respectful to them. Park Rangers were there as professional friendly help with both info and security if and when needed. Think about it, Americans are natural born pioneers and explorers. That's how we came to be a nation and a people. What's happened to us? My husband and I had the privilege of hiking Limestone during one of their monthly Open Access days. It was so beautiful, well maintained and awesome. The volunteers that were on hand were friendly, knowledgeable and made the experience even more enjoyable. If by limiting the amount of foot traffic they are able to preserve this space, I'm all for it. I can't tell you how many hikes we've been on where there is graffiti, litter and just plain disrespect of property. Truly makes me sad. I wish more people would leave only footprints and we wouldn't have to have it this way. Ummmm....are we living in a police state? Just curious. Wait... I have to sign up with a group? But I'm an active, fit guy. What if the group is full of senior citizens and kids? Do I have to go at their pace? Great Question! We would assume you would need to stay with the group, but that is why there are wilderness access days where you can go at your own pace! 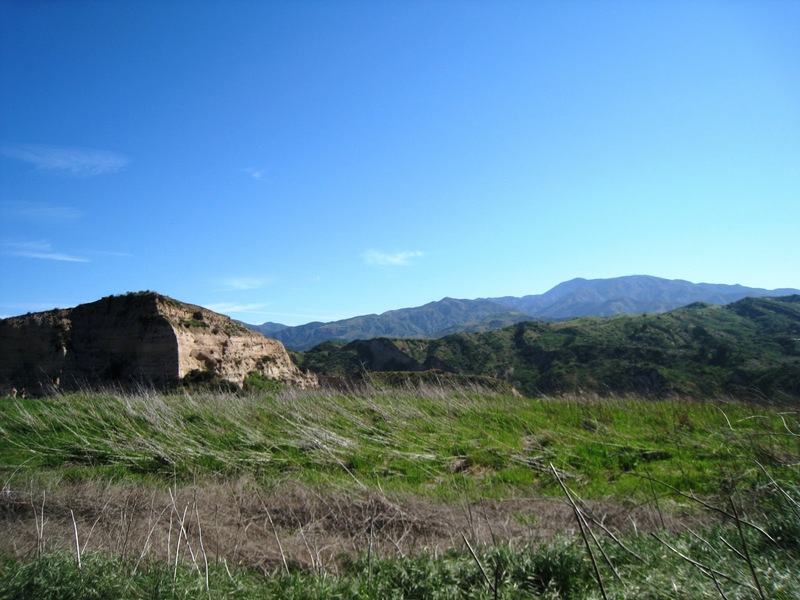 I just found your site and thought I'd comment on Limestone Canyon. This is not public land, as some other commenters have indicated. This land is owned and run by the Irvine Ranch Conservancy, which is dedicated to keeping it and it's inhabitatants as natural as possible. I've hiked Limestone Canyon when a large portion of the trail to The Sinks was closed because it was raptor mating season. This sort of protection would not be possible on public land. As you mentioned, they do have the wilderness day, once a month (I think it's the first Saturday of each month) where you can go at your own pace, provided you are in and out during the open hours. We have so many free hiking areas in So Cal, that being restricted from hiking on private property shouldn't cause anyone to cry about police state. Thank you for your great blog! I am always looking for new places to explore! Are there bathrooms/porta-potties along the trail? What do hikers do when "nature calls"? There are restrooms located at the trailhead, but along the trail there are not designated restrooms. When nature calls there is always natures restroom, but given the hike is not to long and that most of the water will come out by way of sweat, you probably shouldn't have to many problems.